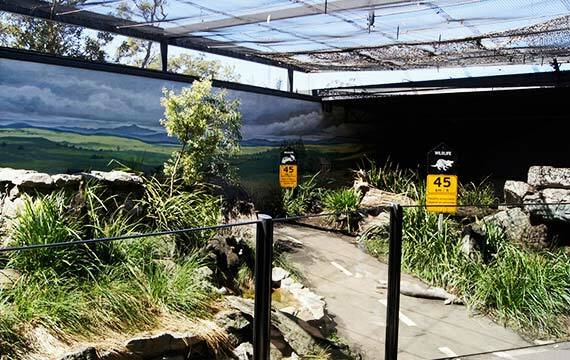 The Tasmanian Devil Exhibit was developed in conjunction with the Taronga Zoo Keeper staff, education/interpretation department and Mothers Art. 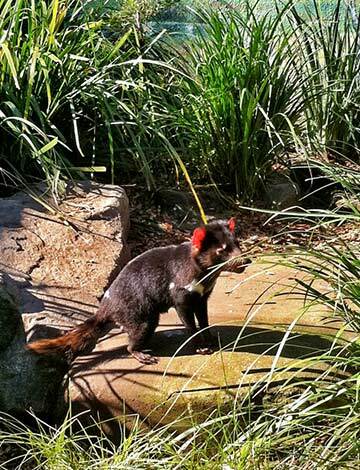 Sustainability was a high priority in this project with the recycling and refurbishment of the existing Large Cats Dens structure. From the outside the exhibit, it looks like an old walled exhibit, but when you walk through the wooden doors you are surprised by entering a room facing out onto a rural road setting where devils have thrived by cleaning up road kill while risking death from passing cars. 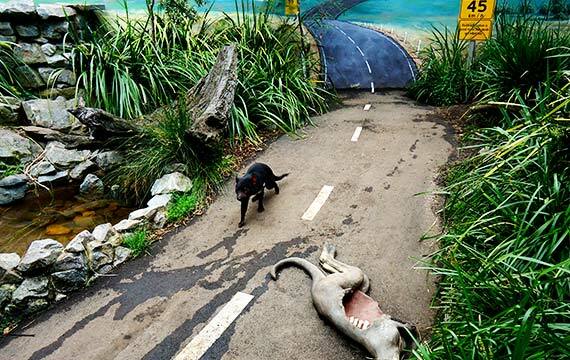 A road runs from the public area into the enclosure where an artificial kangaroo carcass lies across the highway. Daily keeper talks show meat attached to the feeding feature to demonstrate the carnivorous nature of the devil as their big canine teeth tear the flesh. 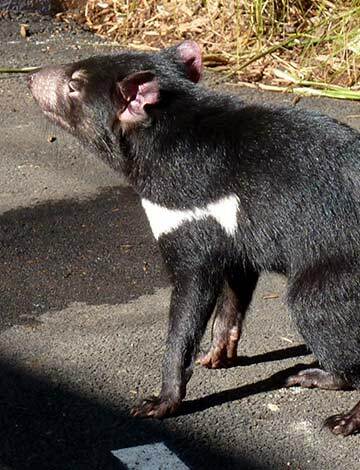 This landscape highlights how highways are a link to the rapid demise of the Tasmanian Devil, helping to spread a contagious cancer, called the Devil Facial Tumour Disease, which has already wiped out 60% of the endemic Tasmanian population. 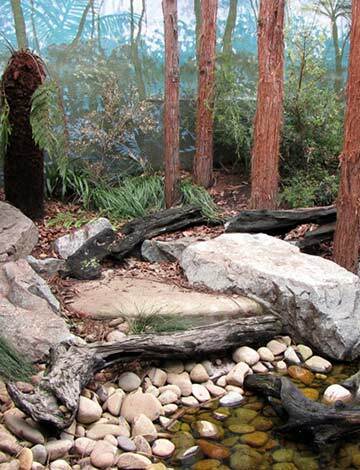 A second exhibit area showcases the natural habitat of the Tasmanian Devil, that of the highlands of Tasmania, with a shallow watercourse and a natural forested.